The river’s drainage area is approximatley 1.1 million km squared. It’s also known as the Abasin or the Sindhu River. It’s tributaries include: Zanskar River, Dras River, Shyok River, Gomal River and Kabul River. The country of India owes its name to the Indus River. The waters of the Indus support many of Pakistan’s heavy industry and much of its agriculture. The Indus River was crossed by Alexander the Great and his army during his Asian campaign. The Indus River Dolphin is a type of dolphin only found in the river. It is an endangered species. 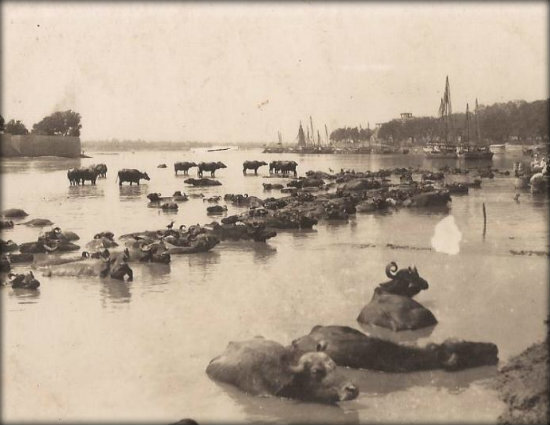 In 2010, due to incredibly heavy monsoon rains, the Indus River flooded at Sukkur, Pakistan. More than 1 million acres of farmland was destroyed and more than 2000 people lost their lives. The river flooded again in 2011 in Sindh, Pakistan. It is estimated that more than 5 million people were affected. The Bronze Age Indus Valley Civilization, perhaps with a population as big as 5 million at its peak, flourished in the basins of the Indus River. With ancient Egypt and Mesopotamia it was one of the three key Old World civilizations. Source: Tibetan Plateau, near Lake Mansarovar. What next? Check out our rivers resources page for more river facts.